the first of the month is now one of the most fun days of the work cycle here at Papertrey Ink due to the fact that it's the day the Senior Design Team looks back on a previously released stamp set and combines it with new products that are available today. 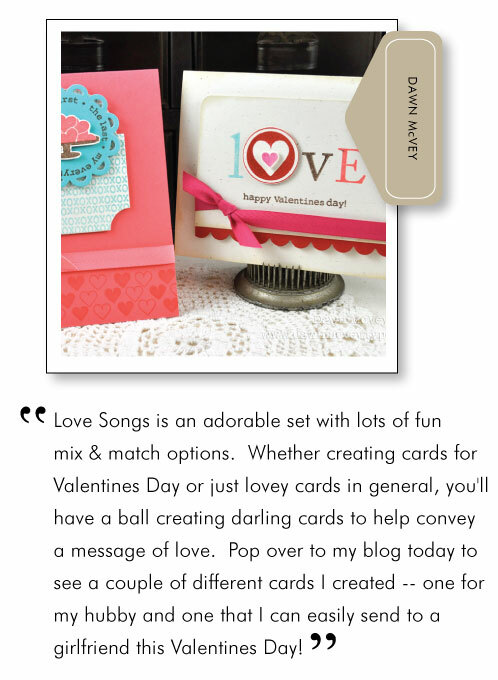 In preparation for upcoming Valentine's Day activities, parties and treats I thought we would take a look at Love Songs, designed by the talented Lisa Johnson. This set is full of fun little images to mix and match, not to mention adorable sentiments that use a play on words from many popular love songs. I thought I would ink up this set again and create a special valentine for David in an untraditional color scheme, since he's not really a pink and red kind of fella! I started with the large "love" letters that Lisa included in the set and decided to substitute the "o" for the new circle with heart cut-out die from the Love Lives Here die collection. To get my placement just right, I placed all of the letters on the block together and used the die itself as a spacer. 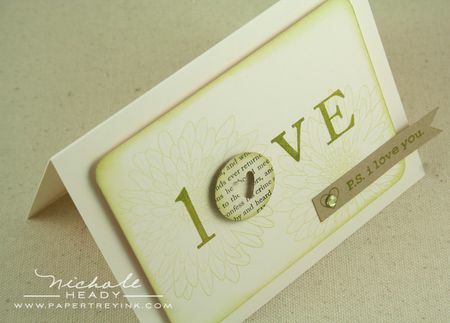 Year of Flowers: Mums was stamped with Spring Moss ink behind the "Love" letters in Ripe Avocado. 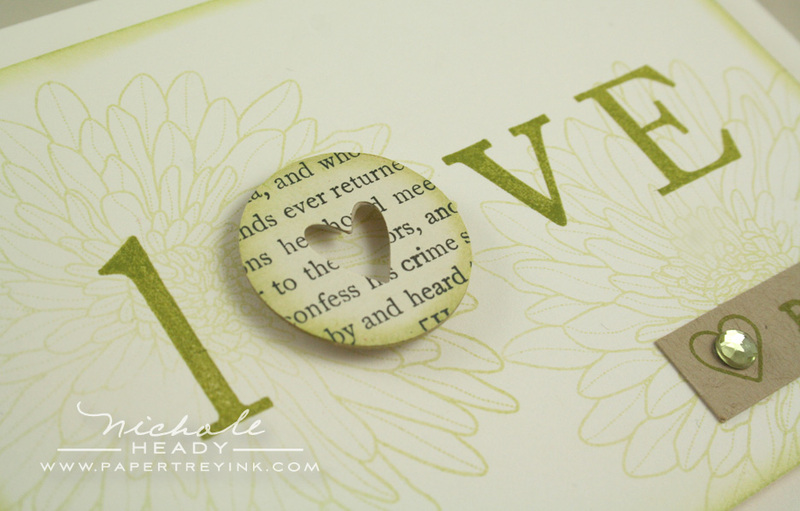 The die-cut circle was cut from vintage bookprint and sponged around the edges with Spring Moss ink as well. I die-cut the Double Ended Banners from Kraft cardstock and added one of my favorite sentiments from this set, "P.S. 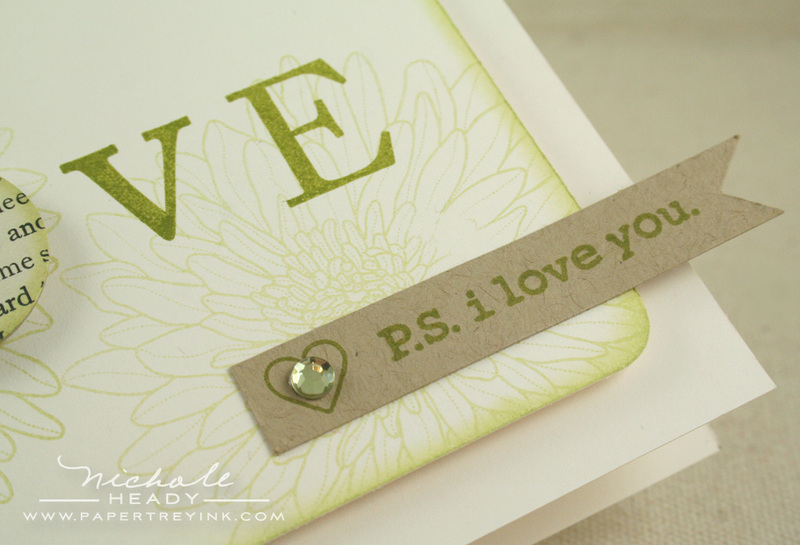 I Love You", using Ripe Avocado ink. 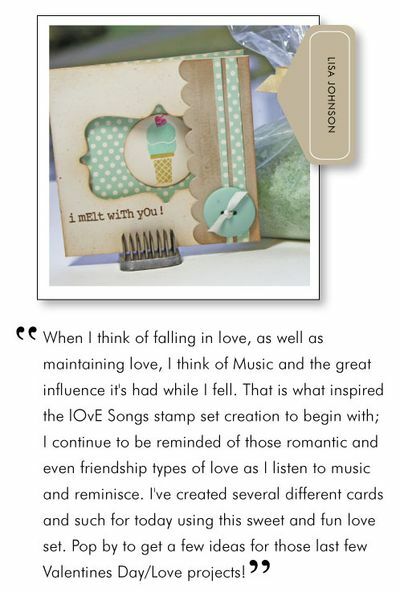 The small heart image is also from Love Songs and after it was added I finished it off with a green rhinestone. Now, how about some additional projects from the rest of the team! 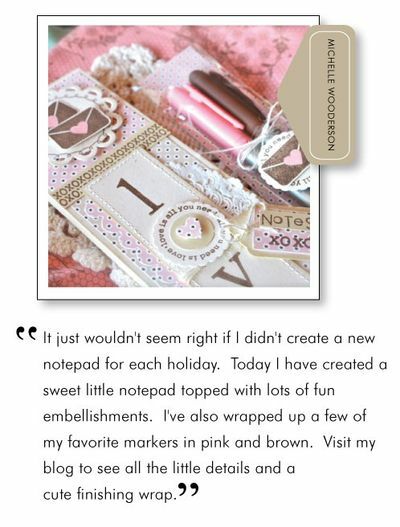 These gals are so talented and really provide so much inspiration when they create for these group posts! And it is always so much fun to see them breath new life into a previously released set! 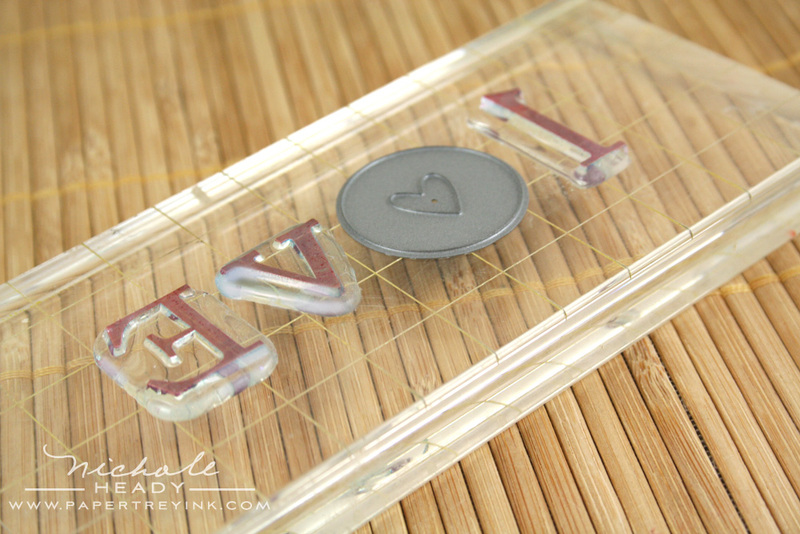 I hope you enjoyed today's projects and find yourself wandering into your stamping space today to get creative! 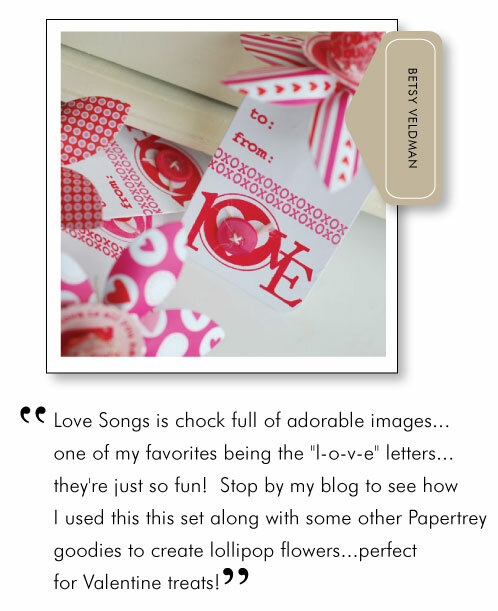 You can go HERE to see the project I created for the original countdown for Love Songs. Lisa Johnson's original countdown posts can be found HERE using these adorable set all about love! You can see the Design Teams' original gallery of creations HERE. Debbie Olson recently posted an adorable card using Love Songs HERE. What a great card, I really like the color combination. I LOVE, and would love to own, this set! 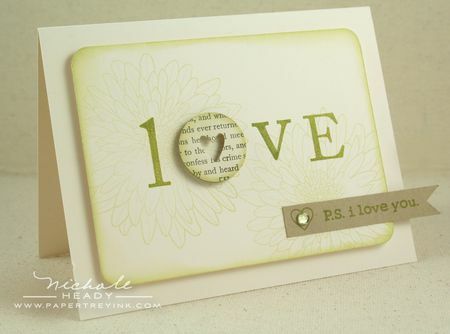 Love how you used non traditional colors on this pretty card! Love, love, love how you go back to show new ideas with older sets. Another thing that sets you apart from other companies who just decide to retire their older sets. I really love that you go back to your old sets – for a newer customer like me, it helps me to be inspired with projects created with items I didn’t see during their original release! Nice new set. Can’t wait for the rest…I love the first of each new month! I really like this segment of revisiting older stamp sets and putting renewed focus on them. 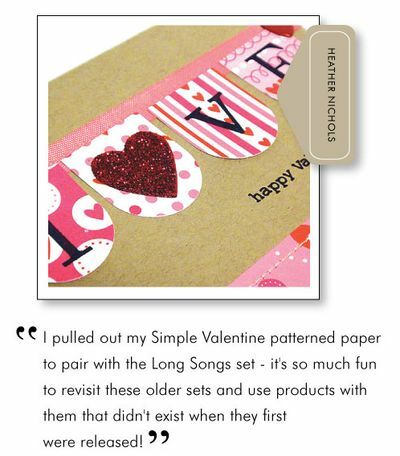 My compliments to you and your team for realizing a purchase may not always be an option every month but playing with old stamps can keep us motivated. Thank you!! The cupcake dies are too cute!